Unite, the biggest union in the UK and Ireland, has issued the following statement of solidarity with the Palestinian people, today (Friday 11 July). Unite unreservedly condemns the continuing Israeli aggression against the Palestinian people and calls for the military strikes and the military build up to be halted immediately. Unite further calls on the UK government to demand the Israeli government halt its military action and to make it clear that should it fail to do so then a move for international sanctions will be launched within the United Nations Security Council and the European Union. The killing of the three Israeli youths was tragic and deplorable, but the retaliation from Israeli settlers and the Israeli authorities is utterly disproportionate and unjustified. In just three days, 81 Palestinians have been killed in Gaza by Israeli airstrikes. By mid-day on Wednesday 9 July 2014, the Israeli air force announced that they had dropped 400 tonnes of explosives on one of the most densely populated areas in the world, an area the size of the Isle of Wight. Horrifying death and destruction is raining down on the 1.7 million Palestinians in Gaza who, trapped in a brutal siege, cannot escape this bombing. There will be no peace and no justice unless the root causes of the conflict are addressed. The roots of the conflict lie in Israel’s decades-long illegal occupation of the West Bank, the building of illegal settlements in the occupied territories, the forced take-over of Palestinian homes in East Jerusalem, and the effective establishment of an apartheid system that systematically removes the most basic human rights of Palestinians. Responsibility for the collapse of the recent ‘peace talks’ lies firmly with Israel and its unwillingness to find a settlement based on the recognition of the rights of the Palestinians and a respect for international law. Israel’s continued construction of more illegal West Bank settlements during the whole process was nothing short of a provocation and a declaration of intent. Unite notes that U.S. Secretary of State John Kerry referred to the possibility of Israel becoming an apartheid state when the peace talks collapsed. In Unite’s view, Israel is already an apartheid state. Unite believes Israel’s attack on the Palestinian people is nothing more than a cover up for their intransigence during the peace talks and a signal of their future intent. Israel is clearly concerned that the Palestinian people are finding a new unity and that the justness of their cause is gaining increasing international recognition and support. 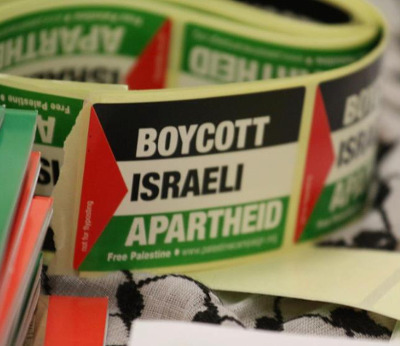 At its recent Policy Conference (30 June – 4 July 2014) Unite re-asserted its solidarity with the Palestinian people and its determination to do all it can to support their struggle for peace, justice and equality. Unite is clear about its understanding of the current situation. This isn’t about rockets from Gaza. It’s about Israel fighting to maintain its control over Palestinian lives, and Palestinian land. It’s about Israel feeling able to commit war crimes with complete impunity. It’s about the world media indicating that Palestinian lives are worth less than Israeli lives. It’s about the fact that Palestinian children are being killed at the rate of one every three days. It’s about millions of Palestinians living under illegal occupation. It’s about the brutal siege on Gaza, and the third military assault on a trapped population in less than 6 years. It’s about more than sixty laws that discriminate against Palestinian citizens of Israel. It’s about Israeli-state racism and apartheid. It’s about ethnic cleansing. It’s about colonization, and over 500,000 settlers. It’s about Israel’s systematic violations of international law and Palestinian human rights. sanctions against Israel for its continued illegal occupation, flouting of international law, and construction of an apartheid regime.